THE LAW OF THE LORD IS PURE. Shalom. Our teaching this morning will continue from Torah, The Law of Moses. Our teaching will come from Numbers 5.1-10, and will continue through the end of the Chapter. The Title of our message is, THE LAW OF THE LORD IS PURE. And with that said, let’s read Numbers 5.1-10. NUMBERS 5.1-4 The LORD said to Moses, Command the Children of Israel to remove from the camp every leper, and everyone that has an issue, that is an abnormal sexual discharge, and those who are defiled by touching a dead corpse. Both female and male alike were put outside the camp in order not to defile the camp where The LORD GOD ALMIGHTY dwelled among His People. And the Children of Israel did so as The LORD commanded Moses, and they removed the unclean from the camp. The Children of Israel, who are the Jewish People, were responsible then as they are today for making their camp, and the Land of Israel today, and everywhere Jewish People live a place of purity for themselves, and for The LORD THEIR GOD TO LIVE AMONG THEM. That was true in the days of Moses. And it’s true today. The Holiness of the Tabernacle that sat in the center of the camp where the Priests served The LORD, and GOD met with Moses to give him His Laws known as The Law of Moses, required purity and not uncleanness. When The LORD removed the unclean from the camp He had Laws that had to be satisfied for them to return. All the days of his or her leprosy they were unclean. When the person was healed and in health and fulfilled other requirements of The LORD, the person was allowed to return to the camp. When the person was healed of their issue, he or she numbered seven days from the day he was healed, along with other requirements, and on the eighth day the Priest made atonement for the person before The LORD for his issue. Then he or she was allowed to return to the camp. NUMBERS 19.11-13 speaks of defilement from touching a dead corpse. He or she was unclean for seven days. And was required to carry out certain Laws of GOD. Then the individual was allowed to return to the camp. How do we, having Atonement in The Messiah Yeshua, observe these Laws, without a Temple, Priesthood, or animal sacrifice? HAVING ATONEMENT IN MESSIAH YESHUA MEANS YOUR SINS ARE FORGIVEN. BUT NOW YOU ARE REQUIRED TO LEAD A NEW LIFE ACCORDING TO THE LAW OF MOSES THAT GOD HAS PUT IN YOUR HEART, TO OBEY IT. JEREMIAH 31.31-34, HEBREWS, 8.10-12, HEBREWS 10.16-17. The leper, and everyone that has an issue, an abnormal sexual discharge, must remain out of their Congregation Sanctuary until they are healed. And then number the days before returning to the Congregation Sanctuary according to the days numbered by The LORD in Leviticus 13.45-46, and Leviticus 15.13-15. Those unclean from touching a dead body, I believe, must remain out of the Congregation Sanctuary during the time written in Numbers 19.11-13. After that, the person is allowed to return to the Congregation Sanctuary. PEOPLE, ESPECIALLY THOSE WHO CLAIM FAITH IN THE MESSIAH YESHUA/JESUS CHRIST, ARE NOT AWARE OF THE IMPORTANCE OF BEING PURE IN THE EYES OF GOD. BEING PURE IN THE EYES OF GOD COMES FROM OBEYING GOD’S LAW OF MOSES, AND HAVING ATONEMENT IN THE MESSIAH YESHUA. THAT IS SALVATION, DELIVERANCE FROM SIN, AND ETERNAL LIFE. ISAIAH 42.1 AND MATTHEW 12.18 ARE KEY TO YOUR WALK WITH THE MESSIAH YESHUA WHO IS HA SHEM, GOD ALMIGHTY. AND KEY TO YOUR SALVATION. ISAIAH 42.1 IS PROPHESY. MATTHEW 12.18 IS FULFILLMENT OF THAT PROPHESY. The word judgment means Law, GOD’S Law of Moses. “He shall show “judgment” to the Gentiles” means that Messiah Yeshua explained The Law, and taught The Law of Moses to the Gentiles, and was an example to the Gentiles by living His Life according to the Law of Moses. And Messiah continues to teach the Gentiles today in The New Testament that they should learn The Law of Moses, and do it. The Jewish People already have The Law of Moses to obey. All for our good when we live our life according to GOD’S Law of Moses. NUMBERS 5.5-6 Committing sin is trespassing or sinning against The LORD, and that is being guilty before The LORD. Sin is breaking any of GOD’S Laws that are written in The Law of Moses. Sin is also not obeying The Word of GOD that GOD speaks in The Bible. BECAUSE EVERY WORD THAT GOD SPEAKS IN THE BIBLE IS LAW. For example, sin is not observing GOD’S Saturday Sabbath from sundown Friday to sundown Saturday. Sin is not observing The LORD’S Festivals that are written in Leviticus 23. Sin is eating what GOD commands you NOT to eat such as ham, pork, bacon, sausage, all pig products, shrimp, clams, lobster, etc. according to GOD’S dietary Laws that are written in Leviticus 11 and Deuteronomy 14. Yeshua The Messiah, Jesus Christ, never ate pork nor did He break any of GOD’S Laws in The Law of Moses. That is the example The Messiah has set for us. And Yeshua The Messiah is GOD ALMIGHTY. (1 PETER 2.21-22) Messiah Yeshua suffered for us, leaving us an example to follow His steps. His example that He left us, as we said, is to obey The Law of Moses. That prevents you from sinning against GOD. Thereby living a pure and perfect life in the eyes of THE LORD YOUR GOD. And that’s when the blessings come. When you obey THE LORD YOUR GOD, HIS LAW OF MOSES, THE LAW OF PURITY. THAT IS BIBLICAL TEACHING. NUMBERS 5.5-8 The first thing we must do when we sin is confess our sin to The LORD, and the person we sinned against. Remember sin is breaking The Law of Moses. And we must repay the person we sinned against if we have stolen anything from that person. We must pay the total value of what was stolen, plus another 20% of its value. Or return the stolen item plus 20% of its value. If the person who was sinned against had died and had no family member, restitution, or payment for the stolen article(s) was given to The LORD by giving the payment to the Priest in addition to the ram for atonement. Thus atonement was made for the guilty who sinned, and he or she was forgiven. NUMBERS 5.9-10 Every offering or sacrifice of all The Holy Things of the Children of Israel which they brought to the Priest, belonged to the Priest. And every person’s Holy Things that were brought to the Priest, belonged to the Priest. ( 1 PETER 2.5) The spiritual sacrifices acceptable to GOD in Messiah Yeshua is obedience to The LORD YOUR GOD. Obedience to His Laws that are written in The Law of Moses. That is acceptable to The LORD. That is living your life in purity for GOD. And that is the way of Salvation that leads to eternal life in Heaven with The LORD YOUR GOD. HOLD ON TO YOUR SEATS LADIES. LET’S READ NUMBERS 5.11-31. The woman behaved in an unseemly manner that gave her husband good reason to suspect her of adultery. But there is no proof of guilt or innocence. The Torah provided a miraculous process in the days of the Tabernacle that would prove that his wife sinned, or revealed that she was faithful to her husband. And thereby restore trust and love in the marriage. Because it is GOD alone Who can reveal the truth when there is no evidence. Was she in sin or not? If she was guilty of adultery, her belly swelled, her thigh rotted, and she was a curse among her People. If she was pure and innocent, she was able to have children, and was free. IN CONCLUSION, THE LAW OF THE LORD IS PURE. AND ALONG WITH YOUR FAITH AND ATONEMENT IN MESSIAH YESHUA , THE PURE LAW MUST BE PART OF YOUR LIFE. THAT IS SALVATION, DELIVERANCE FROM SIN, AND ETERNAL LIFE IN HEAVEN WITH THE LORD YOUR GOD, YESHUA HA MASHIAKH, YESHUA THE MESSIAH. Posted on January 31, 2016 February 2, 2016 Categories Shabbat MessageLeave a comment on THE LAW OF THE LORD IS PURE. Shalom. Our teaching this morning will continue from Torah, The Law of Moses. The verses of study will be from Numbers 4.21-28, and further on in this chapter. And the title of our message is, WHAT IS THE WILL OF GOD? And with that said, let’s read Numbers 4.21-28. The responsibility for transporting the Tabernacle from one location to another during Israel’s journey to the Promised Land belonged to the Levites, all the men from thirty years old to fifty years old. That was according to the Commandment of The LORD. It was also the responsibility of the Levites to set up the Tabernacle at their next location. And it was also at the Commandment of The LORD for Israel to break camp and move forward to its next location. GOD covered the Tabernacle with a Cloud by day, and the appearance of Fire by night. The Cloud and the Fire were both GOD’S manifestation to the Children of Israel. That is to say, the Cloud and the Fire were the appearance of GOD to His Chosen People. Just as the fire in the burning bush that did not consume was the appearance of GOD to Moses. And when the Cloud was taken up from the Tabernacle, the Children of Israel set out to their next location toward the Promised Land. And when the Cloud remained on the Tabernacle, the Children of Israel set up their tents. And at the Commandment of The LORD, the Children of Israel broke camp and the Cloud guided them on their way. And at the Commandment of The LORD, the Children of Israel camped as long as the Cloud remained on the Tabernacle. And they rested in their tents. If the Cloud remained on the Tabernacle for two days, or a month, or a year, the Children of Israel remained in their tents and did not travel. But when the Cloud was taken up, they set out to the Promised Land. The Cloud and the Fire were The LORD GOD ALMIGHTY leading His People to their future homeland, the Land of Israel. The Kohathites from among the families of Levi, the men from thirty to fifty years old were commanded by GOD to transport all the Most Holy Things in the Tabernacle. The Ark of The Covenant, the Altar of Incense, the Menorah, the Table of Showbread, and the Bread, and the Altar of Sacrifice, and all their Utensils. And The LORD commanded the Kohathites not to touch the Most Holy Things in the Tabernacle, or look at them before Aaron and his sons covered and wrapped them, lest they die. After the most holy things were covered and wrapped, then the Kohathites were allowed to move The Most Holy Things. And as Yeshua The Messiah is a descendant of Abraham, Isaac, Jacob, Judah, and King David, the sons of Levi, Gershon, Kohath, and Merari are descendants of Abraham, Isaac, Jacob, and Levi. BOTH GRNEALOGIES CARRY GREAT IMPORTANCE. Yeshua The Messiah’s birth came some 2,000 years after Abraham, Isaac, Jacob, and Judah. And 1,000 years after King David. Both King David and The Messiah Yeshua are born from the tribe of Judah. The sons of Levi, Gershon, Kohath, and Merari, who were in the wilderness at the time of the Exodus, were born some 545 years after Abraham, Isaac, Jacob, and Levi. On the other hand, the genealogy of the tribe of Levi is also important. Let’s examine some of GOD’S prophesies that say The Messiah must be the Son of David Who will descend from the seed of King David, who is from the tribe of Judah. And the fulfillment of GOD’S prophesies in The New Testament that Messiah Yeshua is The Son of David. VERSES 12-13, 16 These spoken words of The LORD GOD speak of the future Messiah Who will be from the House of David Who will reign as King forever. Messiah Yeshua is that King Who will reign forever. VERSES 14-15 Are about King Solomon. PSALM 89.34-37 GOD’S Covenant with David is eternal. His dynasty, the succession of Kings is forever. And Messiah Yeshua, David’s seed, is that King Who will reign forever. JEREMIAH 23.5-6 The Righteous Branch and King from the seed of King David is The Messiah Yeshua. At Messiah’s return, He will save Judah, and Israel will dwell safely. And His Name shall be called THE LORD OUR RIGHTEOUSNESS. The New Testament, which is not a Christian Bible but a Jewish Bible, is the fulfillment of the coming of the promised Jewish Messiah Yeshua WHO IS GOD HIMSELF, HA SHEM, THE FATHER. The New Testament also reveals to Judaism and to all mankind that our Atonement is the sacrificial death of The Messiah Yeshua, and His shed blood that makes Atonement for our soul, Leviticus 17.11. Let’s continue with the work and responsibilities of the Levites, the men who were thirty to fifty years old who transported the Tabernacle. The Gershonites, the sons of Gershon, the son of Levi, were responsible for transporting the curtains of the Tabernacle. The hangings for the door of the Tabernacle, the hangings in the courtyard, and the door of the gate of the courtyard, and all their accessories, and the Tent of the Tabernacle. And Aaron and his sons instructed the Gershonites in all their work and responsibilities. And Ithamar, the son of Aaron supervised them . The sons of Merari, the male descendants of Merari, the third born son of Levi, from thirty years old to fifty were responsible for transporting the boards of the Tabernacle, and the pillars of the courtyard, their sockets and pins, and ropes. And all the instruments that pertained to them. And Ithamar, the son of Aaron also supervised the Merarites in all their responsibilities. NUMBERS 4.34-36 And Moses and Aaron, and the Leaders of the Congregation numbered the men of the Kohathites, the Gershonites, and the Merarites from thirty years old to fifty, all that were involved in transporting the Tabernacle. The Kohathites numbered 2,750 men from the age of thirty to fifty years old. The Gershonites numbered 2,630 men from thirty years old to fifty. And the Merarites numbered 3,200 men from thirty to fifty years old as The LORD commanded. The total responsible for transporting the Tabernacle and everything in it was 8,580 men. NUMBERS 4.49 All the work of the Levites was according to the Commandment of The LORD as The LORD commanded Moses. And the Levites carried out GOD’s instructions as Moses told them. The Levites did the will of GOD. THE WILL OF GOD IS EXPLAINED IN PSALM 40.9, AND IN THE CHRISTIAN BIBLE PSALM 40.8. THE WILL OF GOD IS FOR ALL MANKIND TO DO HIS LAW. GOD’S LAW IS THE TORAH, THE LAW OF MOSES THAT HAS ALL GOD’S LAWS WRITTEN IN IT IN THE FIRST FIVE BOOKS OF THE BIBLE. Seeing that GOD rules in the Kingdom of men and He is The GOD of all the earth, GOD requires everyone to observe and obey His Law. Prophesy tells us that The Messiah Yeshua would preach Righteousness. Righteousness is everything that is right, just, and Lawful according to the Law of Moses. Yeshua The Messiah preached Righteousness. He taught The Law of Moses and lived by The Law of Moses. He never abolished it. Messiah never came to destroy The Law or the Prophets. He came to Complete them. The Law and the Prophets prophesy of the coming of Messiah. But when Messiah came 2,000 years ago, He completed the Law and the Prophets. And not one Word of the Law will ever change or end, Messiah says. So, what will Messiah say to those who do not do the will of GOD? Posted on January 24, 2016 January 25, 2016 Categories Shabbat MessageLeave a comment on WHAT IS THE WILL OF GOD? Shalom. Our teaching this morning will continue from Torah, The Law of Moses. And the title of this morning’s message is BLESSINGS. And the verses of study are Numbers 4.16-20. So with that said, let’s read Numbers 4.16-20. The LORD had spoken earlier to Moses and Aaron saying, Take a census of the sons of Kohath from among the sons of Levi from thirty years old to fifty years old. Kohath was the second born son of Levi. Levi was the third born son of Jacob. And Aaron the Priest was a descendant of Kohath. Joshua 21.10. The Kohathites are those who descend from Kohath. The Kohathites were the men who transported The Most Holy Things of the Tabernacle when The LORD commanded the Children of Israel to break camp and move forward to their next location on their way to the Promised Land. The sons of Kohath from thirty years old to fifty were instructed by The LORD to transport The Ark Of The Covenant, The Table Of Showbread, The Bread and all Its Utensils, The Menorah and all Its Utensils, The Altar Of Incense, all The Instruments with which the Service in The Sanctuary was performed, and The Altar for Sacrifice and all Its Utensils. But The LORD made it clear to the Kohathites that they were not to touch The Most Holy Things in the Tabernacle and Sanctuary, or even look at them BEFORE they were covered and wrapped by Aaron and his sons, lest they die. NUMBERS 4.15-16 Eleazar, the son of Aaron the Priest, was responsible for The Oil for the Menorah, The Sweet Incense, The Grain Offering, and The Anointing Oil. The Anointing Oil was used to Anoint The Tabernacle, The Ark Of The Covenant, The Table Of Showbread, and all Its Instruments, The Altar Of Incense, The Altar For Sacrifice, and all Their Utensils, and The Laver for Purification and Its Base. Also Eleazar’s responsibility was the supervision of the Levites in all their work in The Tabernacle and Sanctuary when it was time to break camp and transport The Tabernacle. Proper supervision is something that is lacking in many businesses today. As The LORD instructed Eleazar to supervise the Levites in transporting the Tabernacle, businesses should also supervise their people correctly to be more productive for their company, its customers, and the employees themselves. The results are always more production, greater earnings, happier customers, and happier employees. Business can learn from The LORD’S instructions. NUMBERS 4.17-20 The LORD spoke to Moses and Aaron, and said, Do not cut off the Kohathites from the Levites. That is to say, Do not set them apart from the Levites. But do this to them so they will live and not die. When the Kohathites approach The Most Holy Things of the Tabernacle and Sanctuary, The LORD said, they must be sure that The Most Holy Things are FIRST covered and wrapped by Aaron and his sons so the Kohathites will live and not die. And you, Moses and Aaron must assign each of them their work. Thus Moses and Aaron assigned each of the Kohathites their responsibilities and duties for transporting The Most Holy Things, and Eleazar supervised them. NUMBERS 4.20 So for the Kohathites to live and not die, they were commanded by The LORD GOD not to look at The Most Holy Things before they were covered and wrapped by Aaron and his sons. The Commandments of GOD are quite simple. All we have to do is obey what He says and do them. There is a chapter in The Bible, in fact in The Torah, The Law of Moses that is devoted to GOD’S Blessings for doing His Commandments. And His Curses for not doing His Commandments. Happily, GOD’S Blessings are for everybody, Jewish People and non-Jewish People for doing His Commandments. But GOD’S Curses are also for everybody, Jewish People and non-Jewish People. The Curses are for not doing GOD’S Commandments. But this morning we will focus on GOD’S Blessings and hold off on His Curses for another day. The Chapter is Deuteronomy 28. And GOD’S Blessings are written in verses 1 through 14. DEUTERONOMY 28.1 These Words Spoken by The GOD of Creation, Yeshua The Messiah, are for all mankind, Jewish People and non-Jewish People. THERE IS ONLY ONE GOD AND HIS COMMANDMNETS ARE FOR EVERYBODY. The Word Commandments in Hebrew, as in GOD’S Commandments, is MEETS’VOTE meaning collectively The Law of Moses. It shall come to pass, The LORD says, If you will obey ALL My Commandments which I command you this day that The LORD YOUR GOD will set you on high above all the nations of the earth. DEUTERONOMY 28.2 And all these Blessings, The LORD says, will come upon you IF YOU WILL OBEY THE VOICE OF THE LORD YOUR GOD. GOD’S Spoken Word in The Bible is Law. And His Law is written in The Law Of Moses. DEUTERONOMY 28.3 GOD promises you that He will bless you in the city, and you will be blessed in the field. The city is where most people live and work. And GOD will bless you in the city. The field is where many farm, live and work. And GOD will bless you in the field. IF YOU OBEY HIS COMMANDMENTS. DEUTERONOMY 28.4 GOD will bless your children. And The LORD will bless your work, whatever your work may be. Whatever you put your hand to, GOD will bless your work. IF YOU OBEY HIS COMMANDMENTS. DEUTERONOMY 28.5 Everything you eat, GOD will bless. IF YOU OBEY THE COMMANDMENTS OF THE LORD YOUR GOD. DEUTERONOMY 28.6 Blessed shall you be when you come into your house, or into your work, or anywhere you go. And blessed shall you be when you go out. You will be blessed everywhere you go. IF YOU OBEY THE COMMANDMENTS OF THE LORD YOUR GOD. DEUTERONOMY 28.7 And The LORD YOUR GOD will defeat ALL your enemies IF YOU OBEY THE COMMANDMENTS OF THE LORD YOUR GOD. DEUTERONOMY 28.8 The LORD will command His blessing upon you in your storehouses. Storehouses can be barns, or the place or places where you store things. Or the storehouse of your knowledge. And GOD will bless you in everything you set out to do. And He will bless you in the land where you live which The LORD YOUR GOD has given to you. IF YOU OBEY THE COMMANDMENTS OF THE LORD YOUR GOD. DEUTERONOMY 28.9 The LORD will establish you A Holy People to Himself IF YOU KEEP THE COMMANDMENTS OF THE LORD YOUR GOD AND WALK IN HIS WAYS. What does it mean to be established by GOD to be A Holy People to Himself? It means, along with your Faith and Atonement in The Messiah Yeshua, you will be a peculiar treasure to The LORD YOUR GOD above all people that are upon the face of the earth. You will be a Priest to The LORD YOUR GOD, and A Holy Person. The LORD has chosen you to be special to HIMSELF above all people upon the face of the earth. You will be a praise to The LORD, and your name will be honored because you are A HOLY PERSON to The LORD. GOD will take you to be His, and He will be your GOD as He has sworn to Abraham, Isaac, and Jacob. And The LORD will establish you and keep you from evil. DEUTERONOMY 28.10 All people will see that you are called by The Name of The LORD. That is, they will see that you are called by The LORD to be Holy to HIM. And they will be afraid of you. DEUTERONOMY 28.11 And The LORD will give you great success and prosperity. And He will bless your children and grandchildren. And He will bless you in all your work, and give you abundant success wherever you live. IF YOU OBEY THE COMMANDMENTS OF THE LORD YOUR GOD. DEUTERONOMY 28.12 The LORD will open the windows of Heaven for you and give you His good treasure. And He will bless all your work, and you will lend to others, but you will not borrow. DEUTERONOMY 28.13 And The LORD will make you the head and not the tail. And you will always be at the top and you will not be at the bottom. IF YOU OBEY THE COMANDMENTS OF THE LORD YOUR GOD THAT COMMANDS YOU THIS DAY TO OBSERVE AND DO THEM. And The LORD GOD warns every human being that if they will not obey the Commandments of The LORD THEIR GOD, THE ONE AND ONLY GOD, and His Statutes that are written in The Law of Moses in the first five Books of The Bible, the curses written in Verses 16 through 68 in this Chapter will come upon the disobedient and overtake them. So yes, it’s a whole lot better to obey The LORD YOUR GOD and observe and do all His Commandments that are written in The Law of Moses, that The LORD YOUR GOD will set you on high above all the peoples of the earth, AND BLESS YOU AND YOUR FAMILY. THE LORD’S WARNING TO THE LEVITES. Shalom. Our teaching this morning continues from The Torah, The Law of Moses, from Numbers 4.1-15. And the Title of our message is, THE LORD’S WARNING TO THE LEVITES. And with that said, let’s read Numbers 4.1-15. In this Chapter, The LORD commands Moses to take a second census of the Levites. Men from the age of thirty years old to fifty years old. These are the men who transported The Tabernacle and everything that pertained to it on Israel’s journey to The Promised Land. NUMBERS 4.1-5 Who are the Levitical families of Kohath? Kohath was the second born son of Levi, the son of Jacob. And the families of Kohath are his descendants. The census was directed to those men from the descendants of Kohath who were thirty years old and upward to fifty. They had the responsibility of transporting the Most Holy Things of The Tabernacle. The Ark of The Covenant that was in the Holy of Holies, the Veil that divided the Holy of Holies from the rest of The Sanctuary. The Table of Showbread and The Bread. The Menorah and The Golden Altar. That is The Altar of Incense. Exodus 30.1, 3. And The Altar for Sacrifice and all their Utensils. But first, but first Aaron The Priest, and his sons were commanded by The LORD to wrap The Most Holy Things, and cover them with various materials, and cloths of different colors. And then, and only then were the Kohathites allowed into The Tabernacle to move them. AND OF GREAT IMPORTANCE, THE LORD COMMANDED THE KOHATHITES NOT TO TOUCH THE MOST HOLY THINGS BEFORE THEY WERE WRAPPED BY THE PRIESTS, NOR EVEN LOOK AT THEM BEFORE THEY WERE WRAPPED BY THE PRIESTS, LEST THEY DIE. NUMBERS 4.5 Also, The LORD said to Moses, when the camp breaks, that is, when I command The Children of Israel to move forward to its next location, Aaron The Priest and his sons shall go into The Tabernacle and take down the Veil, The Veil that serves as a partition between The Holy of Holies and the rest of The Sanctuary Exodus 26.31-33. And Aaron and his sons shall cover The Ark of The Covenant that is in The Holy of Holies with The Veil that partitions The Holy of Holies from the rest of The Sanctuary. And then they shall cover it with badger’s skins. Now some Bibles read badger’s skins. Other Bibles read dolphin skins, or seal skins, or fine leather. The Hebrew word for badger is TAH’KHASH. TAH’KHASH is a certain type of animal that the Jewish interpreters have not settled on one particular animal. Thus other Bibles read that The Most Holy Things were wrapped in TAHKHASH skins. So I will use the words seal skins that are written in The Jewish Publication Society of America Bible of 1917. So Aaron and his sons covered The Ark of The Covenant with The Veil that set apart The Holy of Holies from the rest of The Sanctuary. Then The LORD commanded them to cover it with seal skins, and spread a blue cloth over it. And they inserted the Carrying Poles into The Four Golden Rings at its four corners. Also, The LORD commanded Aaron and his sons to spread a blue cloth over The Table of Showbread. And on it, The Dishes, The Incense Pans, The Offering Bowls and Pitchers. And The Continual Bread remained on The Table because The LORD said earlier, You shall set upon The Table, Showbread Before Me Always. EXODUS 25.30. Thus The Bread always remained on The Table even during transportation. And Aaron and his sons were commanded by The LORD to cover The Menorah with blue cloth, and its Lamps, Tongs, Trays and Jars used for The Oil. And they covered The Menorah and all its Accessories in seal skins as The LORD commanded them, and placed them on a carrying frame. 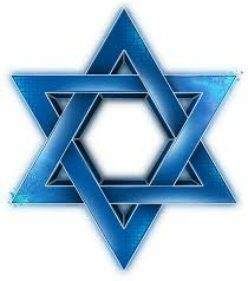 The Jewish religion is the only religion created by GOD. And Aaron and his sons took all the Utensils that they used when serving in The Sanctuary and put them in a blue cloth and covered them with seal skins, and put them on a carrying frame. NUMBERS 4.15 That is a very stern warning to the Kohathites, and all the Levites, and everyone who was not a Priest. When Aaron and his sons finished covering all The Holy Things of The Sanctuary, and all Their Utensils when Israel moved forward to another location, then, and only then were the Kohathites allowed by The LORD to come and carry them. At The Command of The LORD, the Kohathites were not even to look at The Most Holy Things even for a moment when The Sanctuary was being dismantled by Aaron and his sons, lest they die. So the question might be asked, why is The LORD so stern? Why did The LORD NOT allow the Kohathites to touch The Most Holy Things of The Sanctuary before they were covered by Aaron and his sons, lest they die? I can think of only one answer. BECAUSE THE LORD SAID SO. That is His Commandment. That is The Word of The LORD. Do not touch The Holy Things before Aaron and his sons cover them. Don’t even look on The Holy Things before they are covered by Aaron and his sons, lest you die. EVERY WORD GOD SPEAKS IN THE BIBLE IS HIS COMMANDMENT. AND GOD’S COMMANDMENTS NEVER CHANGE. EVERY WORD GOD SPEAKS IN THE BIBLE IS LAW. AND GOD’S LAW NEVER CHANGES NOR DOES IT END. AND EVERY WORD GOD SPEAKS IN THE BIBLE IS WORK. W-O-R-K. AND THAT NEVER CHANGES. The Hebrew for Word, as in The Word of The LORD, is DAHVAHR. The Word of The LORD not only means The Word of The LORD, GOD’S Word means His Commandment, His Promise, and His Decree. A decree is a formal order having the force of law. GOD’S Laws that are written in The Law of Moses will never end, nor can they ever be abolished as other religions outside of Judaism attempt to do. That is very dangerous. GOD has formed the spirit of every human being. GOD has determined who we are. He formed our mind, our brain, our intelligence, our capabilities, our life, our understanding, our courage, our spiritual belief. So yes, every Word that GOD speaks in The Bible is for every human being. And Yeshua The Messiah is That One GOD. And yes, The Word of The LORD means work or works. And GOD will judge us according to our works. Work is described in the Random House Webster’s Dictionary as an effort directed to accomplish something. Thus obeying The Word of GOD, and His Law of Moses that has GOD’S Laws written in it IS WORK. Work that accomplishes obedience to The LORD YOUR GOD. And Work that is pleasing to The LORD YOUR GOD. Blessings follow obedience to GOD. Disobeying GOD’S Laws that are written in The Law of Moses is sin. Disobeying GOD’S Laws that are written in The Law of Moses brings curses on the disobedient. That is Biblical Doctrine. DEUTERONOMY 28, 1 JOHN 3.4. REVELATION 20.8 satan deceives the nations by having a huge number of religious teachers teach against GOD’S Laws that are written in The Law of Moses. No Religion other then the Jewish Religion follow GOD’S Laws that are written in The Bible. REVELATION 20.9 The beloved city is Jerusalem where GOD’S Kingdom on earth will be throughout Israel to the Euphrates River, Genesis 15.18-21. The Saints are its residents, Jews and Gentiles who have Atonement in Messiah Yeshua and have lived by Torah, The Law of Moses. REVELATION 20.12 The dead are those who will not see Heaven. The dead are judged by GOD out of those things that are written in the books ACCORDING TO THEIR WORKS. Their works are, did you obey GOD? Did you have Atonement in Messiah Yeshua? Did you obey GOD’S Law of Moses? Remember what Zechariah 12.1 says? “The LORD that stretches forth the heavens, and lays the foundation of the earth.” Heaven is GOD’S House. And GOD determines who will be invited to live in His House forever. And those who are invited respect The Word of GOD. They live by it, and have Atonement in Messiah Yeshua. REVELATION 20.13-14 Those who did not do the works of GOD, those who lived their lives rejecting GOD’S Laws that are written in The Law of Moses, even though they believed in Jesus Christ, WERE JUDGED ACCORDING TO THEIR DISOBEDIENT WORKS AND NUMBERED WITH THE DEAD. THAT IS THE SECOND DEATH. REVELATION 20.15 But being found written in The Book of Life means you have Atonement in Messiah Yeshua. And you do the works of GOD. You obey Him. You have eternal life in Heaven. Those who were not found written in The Book of Life were cast into the lake of fire because they did not do the works of GOD. So few people respect The Word Of GOD. So many disrespect GOD by disobeying His Word. Let’s imagine this for a moment. A Christian man decides to walk into The Sanctuary to look at The Ark of The Covenant, just to touch it and feel it. But The Priests tell him, don’t go in. It’s against GOD’S Word. You will be in sin and GOD will strike you down dead for disobeying Him. But the Christian man says, Hey, I’m not a Jew. I’m not under The Law. My sins have been washed away in the blood of Jesus and I live by grace, not The Law. And the Priests say Huh? That’s right, the Christian man says. Jesus abolished The Law on the cross. The works of The Law are dead works. They are devoid of faith. And doing GOD’S Law only results in GOD’S curse and condemnation. And I’ll lose my salvation. I learned that in my Church most every Sunday for the past thirty years. And The Priests say to him, everything you say is wrong. GOD never said anything like that. GOD Forbid. You have been lied to. Whether you are Jewish or not, you must obey everything GOD says in The Bible, especially His Laws that are written in The Law of Moses. BECAUSE YOU ARE UNDER THE LAW. Yes your sins are forgiven in the death of Jesus, His Name, Sir, is Yeshua. And now you must live a new life in obedience to GOD. All His Laws, Teachings, and Instructions that are written in The Law of Moses. Jesus did not abolish The Law. All your doctrine is fiction and hurtful. The works of The Law are not dead works. The works of The Law are LIFE. And if you go into The Sanctuary against the Commandment of THE LORD GOD ALMIGHTY, YOU WILL DIE. But the Christian man pushes the Priests aside, and walks into The Sanctuary. What do you think happened to this man WHO REJECTED GOD’S COMMANDMENT? THE ANSWER IS FOUND IN THE WORDS OF YESHUA THE MESSIAH WHO HIMSELF IS GOD ALMIGHTY. MATTHEW 7.21-23, MATTHEW 13.41-43. Posted on January 10, 2016 January 11, 2016 Categories Shabbat MessageLeave a comment on THE LORD’S WARNING TO THE LEVITES. THE LEVITES REPLACE THE FIRSTBORN. Shalom. Our teaching this morning from Torah, The Law of Moses will continue from Numbers 3.1-12. And again we will cover the entire chapter. And the title of our teaching is, THE LEVITES REPLACE THE FIRSTBORN. And with that said, let’s read Numbers 3.1-12. The LORD’S focus of this chapter is the Levites, or the Tribe of Levi, and their duties that He assigned them with regard to the Tabernacle. And The LORD’S decision to replace the firstborn of Israel with the Levites. NUMBERS 3.1-4 In the beginning of this chapter, The LORD gives the generations or the line of males who descend from Aaron and Moses. However, Aaron’s sons are named but not the sons of Moses. Because, it is thought, that Moses is the symbolic father of Aaron’s sons. But I am not so sure that is correct. As a point of information, the sons of Aaron and their male descendants continue to be the Priests of Israel throughout Israel’s generations when there is a Temple in Jerusalem. That is a command of The LORD GOD. Those Levites not from the seed of Aaron and his sons function in subordinate roles to the Priests. The word anointed in Hebrew is MAH’SHAKH meaning, chosen, appointed, consecrated, and dedicated for a special service for GOD. The sons of Aaron were anointed and consecrated to minister to GOD as Priests. Messiah in Hebrew is MAH’SHE’AKH. MAH’SHE’AKH comes from the Hebrew word MAH’SHAKH that means Anointed and Consecrated. Messiah Yeshua’s anointing at His future return is to save Israel and His Jewish People from the invading armies of the world that will gather against Jerusalem to battle. NUMBERS 3.5-6 The LORD said to Moses, bring the tribe of Levi near and present them before Aaron the Priest to serve him. And the Levites are to carry out Aaron’s instructions and the duties of all the Congregation that involve the Tabernacle. The primary duty of the Levites was to guard and protect the Tabernacle while it was stationary. And take down the Sanctuary and transport it and all its furnishings from one location to another on their journey to the Promised Land. And set it up at each location. NUMBERS 3.9 And GOD commanded Moses to give the Levites to Aaron and his sons the Priests. Aaron and his sons were responsible for performing all the Priestly duties in ministering to The LORD. Such as the sacrifice, and sprinkling the blood upon the altar. They wore their Priestly clothing always while serving The LORD. They also pronounced GOD’S blessing upon the Children of Israel. Numbers 6.22-27. They sounded the trumpets on certain occasions. And instructed the People how to live their lives pleasing to The LORD in accordance to GOD’S Laws, Teachings, and Instructions that are written in The Law of Moses. And much more. And anyone who was not a Levite who came near or approached the Tabernacle was put to death. Although The LORD has replaced the firstborn of Israel with the Levites, all the firstborn in Israel continue to belong to The LORD because The LORD GOD said, In the day that I killed the firstborn Egyptians in the land of Egypt, I made the firstborn in Israel Holy to Me, both man and beast. I AM The LORD. That Statute remains forever. NUMBERS 3.14-15 The LORD commanded Moses to number the Children of Levi after the House of their fathers by their families. The House of their father is Levi, the third son born to Jacob. And Levi’s three sons, Gershon, Kohath, and Merari were the fathers of the families of Levi. All those who descended from Levi’s three sons were the House of their fathers by their families. NUMBERS 3.17 The males who descended from the family of Gershon who were in the wilderness of Sinai at the time of GOD’S command who were one month old and older totaled 7,500. And The LORD directed the families of the Gershonites to camp in their tents west of the Tabernacle close by. And the chief of the Gershonites was Eliasaph the son of Lael. And when GOD commanded the Children of Israel to move forward to another location on their way to the Promised Land, the duties of the Gershonites was the Tabernacle itself. Their responsibility was the tent, the covering of the tent, the hanging of the door of the Tabernacle. The hangings that surrounded the courtyard. All the fixtures and ropes for those items. And the maintenance of their responsibilities. NUMBERS 3.27 Kohath was Levi’s second born son and the families that descended from Kohath that were in the wilderness of Sinai totaled 8,600 males from one month old and older. And they were responsible for the Sanctuary. And they camped on the south side of the Tabernacle close by. They were responsible for the Ark of The Covenant when the Tabernacle was moved. Also the table of showbread, and the menorah, and the two altars. The altar for sacrifice, and the altar of incense. They were also responsible for the vessels of the Sanctuary. And they were in charge of the hanging curtains and the maintenance of their responsibilities. We can certainly learn from GOD’S orderly way of Life. NUMBERS 3.32 And Eleazar, the son of Aaron the Priest, was the supervisor over all the chiefs of the Levites. He supervised all those in charge of moving the Sanctuary. NUMBERS 3.33 Of the descendants of Merari, the third born son of Levi, of all the males from one month old and older who were in the wilderness of Sinai at the time totaled 6,200. And they camped close by the Tabernacle on the north side. And GOD assigned them the responsibility of the frames of the Tabernacle, its crossbars, posts, sockets, and fittings. All the utensils and accessories. The pillars of the courtyard all around, and their sockets, pegs, and ropes. And the maintenance of all those items. The only time the Levites were allowed in the Tabernacle was when it was moved from one location to another. To take it down and set it up. NUMBERS 3.38 But those who camped at the front of the Tabernacle in their tents close by toward the east were Moses and his family, and Aaron and his sons and their families. They were responsible for the Sanctuary. And they carried out their responsibilities for the benefit of the Children of Israel. As a matter of interest, Moses did not have far to walk from his tent to the Tabernacle when The LORD called him to meet with Him in the Sanctuary in the Holy of Holies, from above the Mercy Seat, the Cover on the Ark of The Covenant, from between the two cherubim to speak to Moses everything which GOD gave him in commandment to the Children of Israel. That is to say GOD’S Laws, Teachings, and Instructions that The LORD gave to Moses that are written in The Law of Moses. But the world refuses to honor and obey just about every one of GOD’S LAWS. Look around and see the evil in the world today as a result of their disobedience to their GOD Who created them. Moses and all the Children of Israel were close to GOD physically and spiritually when Moses met often with GOD Face to face in The Sanctuary. So the Levitical families of the Gershonites, the Kohathites, and the Meraites were assigned positions by GOD to camp in their tents close by the Tabernacle to guard it on the west side, the south side, and the north side. Military style. But the Priests and their families, and the family of Moses camped in their tents close by the Tabernacle at the eastern entrance, the front of the Tabernacle. NUMBERS 3.39 The total number of Levite males from one month old and above totaled 22,000. NUMBERS 3.40-41 And The LORD said to Moses, number all the firstborn of the males of the Children of Israel from a month old and above. And you shall take the Levites for Me instead of the firstborn of the Children of Israel. I AM THE LORD. And the animals of the Levites instead of the firstborn of the animals of the Children of Israel. And Moses numbered all the firstborn males of the Children of Israel from one month old and above. And they totaled 22,273. Thus there were 273 more firstborn males from the Children of Israel than of the Levites. NUMBERS 3.44-51 And again The LORD said to Moses, Take the Levites instead of the firstborn of the Children of Israel, and the animals of the Levites instead of the animals of the Children of Israel and the Levites shall be Mine. I AM THE LORD. And The LORD said to Moses, The 273 firstborn of Israel that were over and above the number of the firstborn of the Levites are to be redeemed, or bought back from The LORD for a price. This is how the 273 firstborn of Israel were redeemed from The LORD. The 273 fathers of those firstborn of Israel paid Moses a ransom or a price of five Sanctuary shekels each for their sons to symbolically buy them back from The LORD. That totaled 1,365 Sanctuary shekels. And Moses gave the 1,365 Sanctuary shekels to the Priests according to The Word of The LORD as The LORD commanded Moses. The redemption money of 1,365 Sanctuary shekels was a Holy Offering for the Priests that was given to them by The LORD THEIR GOD. So to summarize this chapter, The LORD assigned the Levites the responsibility to guard the Tabernacle when it was stationary. And their duties when the Tabernacle was moved from one location to another during their forty year journey to the Promised Land. And The LORD replaced the firstborn of Israel with the Levites to minister to Him. But the firstborn of Israel always continue to be Holy to The LORD THEIR GOD. Posted on January 3, 2016 January 4, 2016 Categories Shabbat MessageLeave a comment on THE LEVITES REPLACE THE FIRSTBORN.